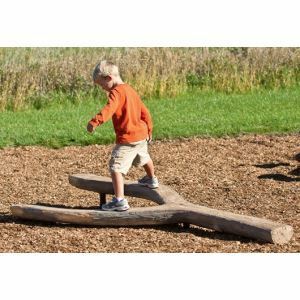 The Log Balance Beam is perfect for kids ages 2 to 12. The nature-inspired playground component challenges kids&apos; balance and provides choice in path. Split beam offers choice in path - a "high road" and a "low road"
Dimensions: Max Fall Height: 12" (0,30 m) - Length: 8&apos; - Width: 4" - 8" - Height: 8" - 12"